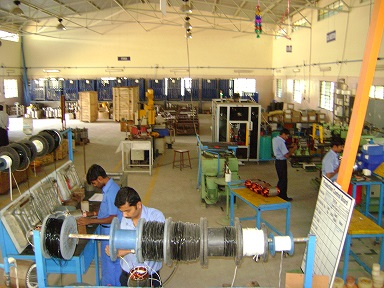 Unit 3 of Integrated Electric Co. in Chikkabellapur houses the Small AC Motor production facility. The unit is capable of producing 2000 motors per month between frames 63-132. The unit has 20000 sq. ft. in 2 separate buildings and the following production equipment.